A comic but poignant memoir about the author's history of heavy drinking and decision to get sober. The first two-thirds of Blackout are simply extraordinary. Ms. Hepola’s electric prose marks her as a flamingo among this genre’s geese. She has direct access to the midnight gods of torch songs, neon signs, tap beer at a reasonable price, cigarettes and untrammeled longing. [Blackout is] as lyrically written as a literary novel, as tightly wound as a thriller, as well-researched as a work of investigative journalism, and as impossible to put down as, well, a cold beer on a hot day. For all the wresting with hard truths, Hepola is a funny writer, and the book is shot through with black humor ... 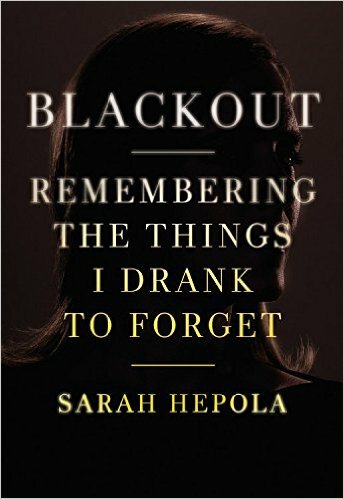 While few may share Hepola's experiences with blackout drinking, many are likely to identify with the complex of feelings behind it. In this account of the years when she felt most alone, she reminds us that we are not. What did you think of Blackout: Remembering the Things I Drank to Forget?